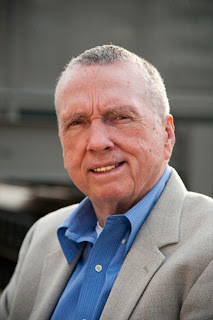 The following is a guest post by Albert Ashforth, former military contractor, current faculty with the State University of New York, and author of the new spy thriller The Rendition. Further details on the book and the author can be found below. From 1999 until 2004 I worked in Bosnia, Kosovo and Macedonia as a military contractor. With Yugoslavia having come apart at the seams after the death of Tito, this was a chaotic time in the Balkans, and the experience was an eye-opener for me. For Americans, Balkan politics have always been a puzzle, and at first, I found our policies there confusing and totally baffling. One question I had was, why was the United States, which has never really been a presence in the Balkans, helping to arm certain Muslim groups which obviously were not very pro-American? The most prominent of these groups was the Kosovo Liberation Army. Like everyone else there, I knew the KLA was a criminal organization, deeply involved in human trafficking all over Europe. It was the KLA’s practice to lure naïve young women out of impoverished circumstances in Eastern Europe with promises of jobs in prosperous European countries like France, Germany and Holland. The jobs these enterprising young women usually ended up doing were in shabby brothels, where they were virtual prisoners, were bought and sold, and sometimes turned into drug addicts. Whatever the case, these heartless racketeers were responsible for ruining the lives of countless young women. But if the KLA made a lot of money in trafficking, it made even more smuggling drugs. Kosovo was the main pipeline for moving drugs out of Afghanistan and into Europe, and it was the KLA warlords who ran this business. To make things more confusing, the KLA, because of its tactics, had been considered not just a criminal organization but also a terrorist organization. Even after it was officially delisted, many of us still considered it a terrorist organization. Why, I wondered, was the United States allying itself with these people? The answer eventually became clear: the KLA was the organization spearheading Kosovo’s independence movement. Over the course of its long history, Kosovo had a national identity but had never been an independent country. After the Battle of Kosovo in 1389, Kosovo came under Turkish rule, and with the collapse of the Ottoman Empire centuries later, it was annexed by Serbia. But with Slovenia, Croatia and later Bosnia declaring independence after the death of Tito, Kosovars, naturally enough, saw their chance to do the same. But the Serbian Prime Minister, Slobodan Milosevic, had other ideas. He wanted to keep Kosovo as a province, and he sent Serbian para-military units into Kosovo. As the Muslim people of Kosovo tried to defend themselves, the KLA supported them and supplied them with arms. When you were on the ground in the Balkans at this time, it was easy to see that the United States had come to consider Serbia an enemy -- and that was why we were acting in concert with the KLA. Before I arrived in the Balkans, in 1999, the United States had led the 77-day NATO bombing attack on Belgrade. Later that year, we began constructing a major military installation in Kosovo, Camp Bondsteel, which was the largest military base the United States had built since the Vietnamese War. Something else we did was to help remove Slobodan Milosevic from power and have him sent to The Hague to stand trial for genocide against the Muslim population of Bosnia and Kosovo. Still, it took a number of years for the Kosovo independence movement to gain sufficient momentum. Russia had always had a close relationship with Serbia, and Secretary Putin supported Serbia’s efforts to maintain dominance in Kosovo. China, too, was against Kosovo becoming independent. The nations of Europe were mostly reluctant to take sides in the Balkans and were skeptical of America’s policies, which seemed to be needlessly antagonistic toward Serbia, a country with which European nations had mostly cordial relations. In June 2007, President Bush paid a state visit to Tirana, the capital of Albania, which borders Kosovo. Surprisingly, he received a hero’s welcome in Albania, a die-hard Communist country that during the Cold War considered America its greatest enemy. But the reason for the warm welcome was clear. In the course of that visit President Bush indicated to Prime Minister Sali Berisha that the United States would support independence for Kosovo. The UN Security Council reviewed Kosovo’s status some months later, and in February 2008 Kosovo declared its independence. I was not surprised when, on the following day, the announcement came from Washington that the United States would recognize Kosovo as an independent nation. I had also spent time at Camp Able Sentry, which is just outside Skopje. The people in this part of Macedonia largely speak Albanian as do the people of Kosovo, and I recognized that the people of Albania, Kosovo and northern Macedonia are united by a common culture and language. Looking back, I can today see that American Balkan policy, beginning in the 1990’s, has been to maintain an influential presence in the Balkans, something the United States has never had. Despite the reservations of some high-ranking officials, our government has had as its goal the formation of a political entity that poses a counterweight to Serbia, a country which traditionally has been a client state of Russia. 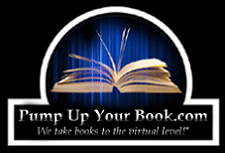 About the Author: Albert Ashforth earned a B.A. from Brooklyn College and an M.A. and a Ph.D. from New York University, upon returning form his overseas tour of duty in the US Army. He worked for two New York newspapers before returning to Europe as an instructor for the University of Maryland’s Overseas Program. He served as the German Military Academy training NATO officers as an instructor at the 10th Group Special Forces headquarters in Bosnia, Macedonia, Germany, Kosovo, and Afghanistan. Dr. Ashforth is now on the faculty at the State University of New York and lives in New York City. 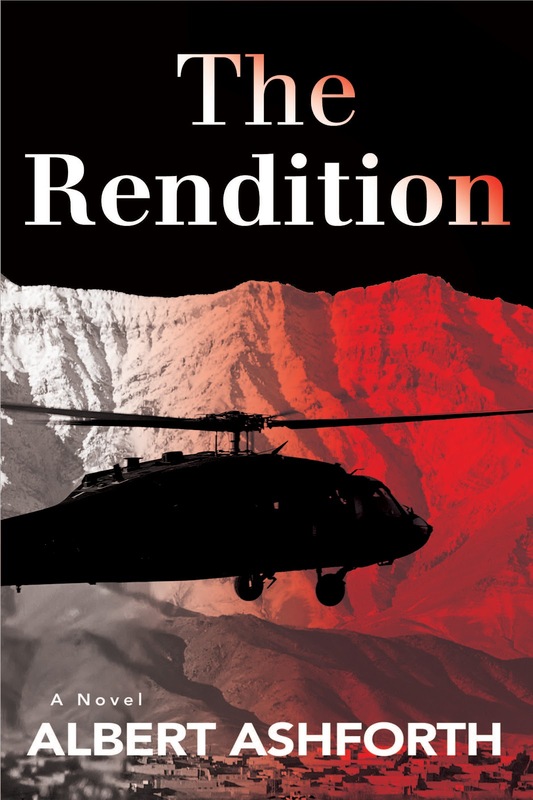 The Rendition Jacket Blurb: The brutal secret war to win Kosovo’s freedom from Serbia is in full swing when The Rendition takes readers behind the headlines for an inside look at the involvement of the United States. 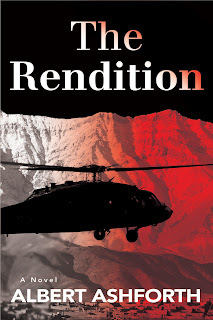 Alex Klear, a veteran intelligence officer, is sent to the Balkans on a hastily planed mission to extract a high-ranking Kosovan military officer for questioning, the rendition goes terribly bad. Alex decides it’s time to retire. However, when he is persuaded to go to Germany as part of an operation connected to the rendition, he finds himself caught between two dynamic women, an old girlfriend and the female colonel running the ‘op.’ While there, he becomes a target of the Kosovo Liberation Army, a murder suspect to the German police, and for his superiors the perfect fall guy to take the heat for a badly botched secret operation. With Kosovo’s independence declaration coming closer by the day, the secret war heats up and Alex comes to realize that he is at the center of a munky conspiracy aimed at making the United States an international pariah. 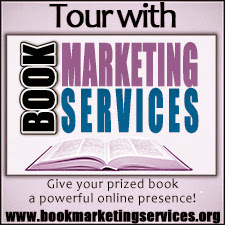 To order a copy of the book, visit Amazon using the handy-dandy link. Excellent article.I like the way of writing and presenting the information.More over i like the quality of content.Waiting for new stuff. Need best assignment assistance our service.